Three independent agency groups--Unlimited Group (U.K.), Serviceplan Group (Germany), and Hakuhodo Group (Japan)--have entered into a strategic alliance to create a global offering rooted in local insight. Together, the U.K., German and Japanese agencies are building joint teams to provide data driven, customer-centric, integrated solutions that will transform clients’ business around the world, with a presence in all major markets. The alliance will enable the three to serve existing clients and pitch for global business as a single unit, with a flexible approach to working together. 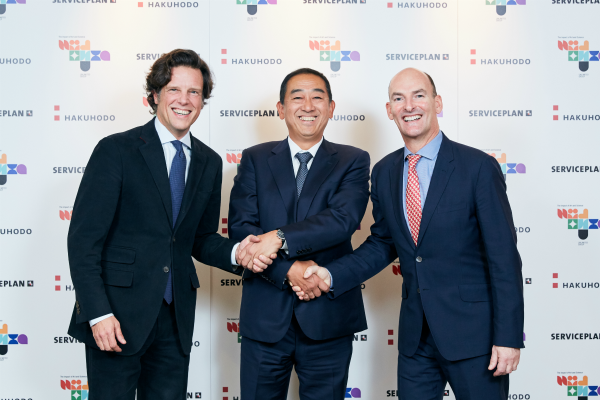 Unlimited, Serviceplan and Hakuhodo have already teamed up for a pan European pitch due to take place in the first quarter of 2019. Unlimited and Europe’s biggest independent network Serviceplan--which has more than 4,000 employees in offices across Europe as well as in New York, Dubai Seoul, Beijing, Shanghai and Hong Kong--have both worked on BMW for a number of years. Like Unlimited Group, Serviceplan, through its “House of Communications,” is home to a number of specialist agencies across CRM, digital, research, PR and advertising. Hakuhodo has offices in 20 countries and regions across Asia, employing 10,000 people. Unlimited already has a number of international clients, including Sony, Canon and Danone, and with the help of the new alliance will be able to offer them improved insights and data in every market. The alliance will be lead by Unlimited Group’s Bonnet, Serviceplan’s managing partner international Markus Noder, and Hakuhodo International’s SVP director of branding Ayami Nakao Peleta. No equity or cash has been exchanged among the three partners at this stage.